"Brian, this is Baz & Andrew’s House of Rugby. Tell us the truth!" Andrew Trimble was not letting the two rugby legends off lightly. 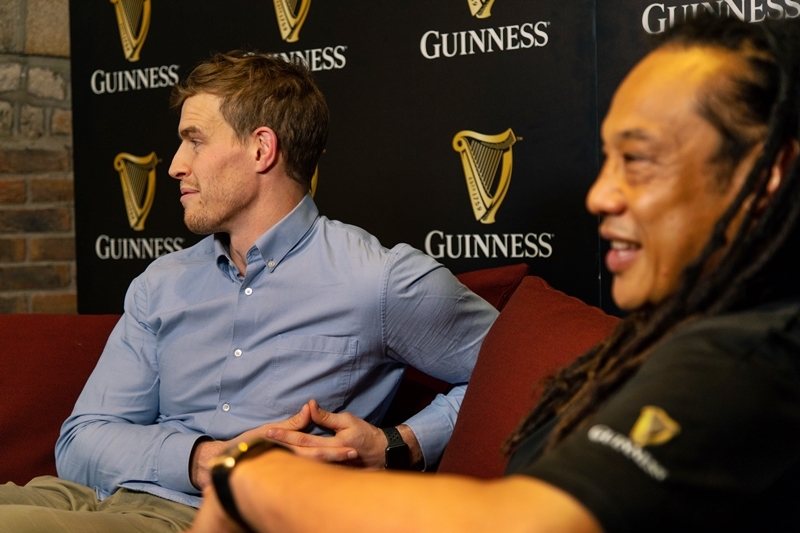 The former Ulster and Ireland winger sat down with Brian O'Driscoll and Tana Umaga for his first ever solo interview, as part of his co-host role with Baz & Andrew's House of Rugby. 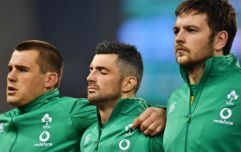 Guinness had brought O'Driscoll and Umaga together to bury the hatchet - once and for all - over the 2005 spear tackle, perpetrated by Umaga and Keven Mealamu, that left the Ireland and Lions centre with a dislocated shoulder. 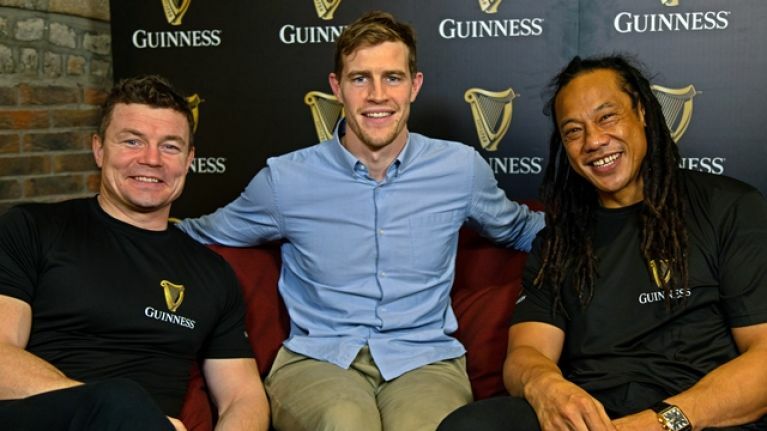 A pint for O'Driscoll and a water for Umaga and laughs shared as old battle stories were told. Trimble sat down with both men after they had already spoken with a few other reporters, but he was not going to let them away with some rote answers. He started off by urging them for the truth, the full truth and all of the truth. "Circle of trust?!" O'Driscoll laughed. "Listen, myself and Tana have met on several occasions over the course of the last 10 years. And it’s, you know, we’ve put to bed what has happened in ’05. Yes, it was something that both of us would like to change. But ultimately, that has been parked a long time ago. But for public consumption, this is probably a good thing. To genuinely show that we’re over it and everyone else should be too. "It’s… it’s hard because at different times – with the Lions tour last year it came back up again, you know… 12 years ago and I’ve been asked about it in every Q&A I’ve done. It’s probably the most regularly asked question. Really there’s no getting away from it. But from our perspective, we’re cool." Both men have met up plenty of times over the years, in rugby and non-rugby settings, and have long since thrashed out that fateful moment in the 2005 Lions Tour, which New Zealand ended up winning 3-0. Most of that happened away from the wider, public glare but the pair definitely looked at ease with each other. 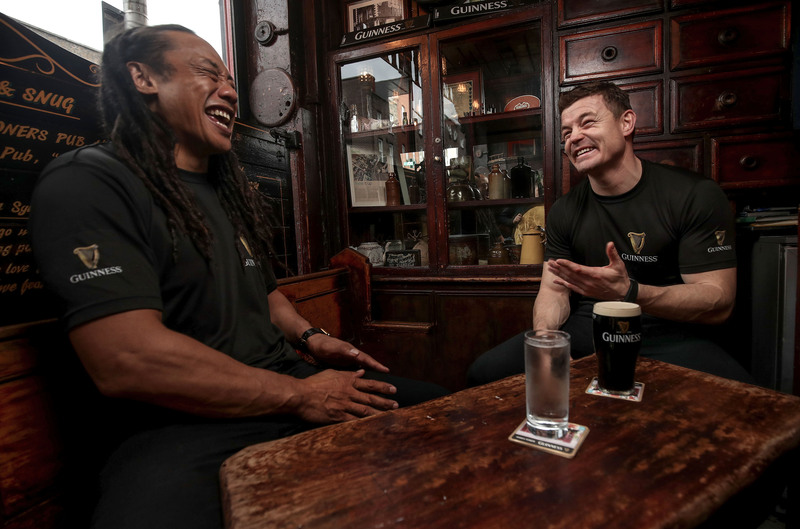 Indeed, Brian O'Driscoll said that himself and Tana Umaga had been out for dinner after he had touched down in Dublin. Beefs well and truly put to bed, Trimble then got to tick off something he had long wished to. His next comment to Umaga, had both the Kiwi and O'Driscoll in stitches. ANDREW: “Well that brings me on, actually, to my next point. Tana, I’m a massive fan of yours. Probably more so than a lot of Irish people, because of what happened in 2005. "There's always that one guy," Umaga remarked, "that takes the opportunity." "I was that one," Trimble replied. "That’s me." With 2005 firmly put in the past, and Umaga vowing to bring word of Baz & Andrew's House of Rugby back to New Zealand, both men moved on to this Saturday's much-anticipated clash at the Aviva Stadium. O'Driscoll fancies Ireland's chances while Umaga is backing New Zealand, but they won't fall out over that one either.